If you run an online store or are thinking of starting, this news will be music to your ears. 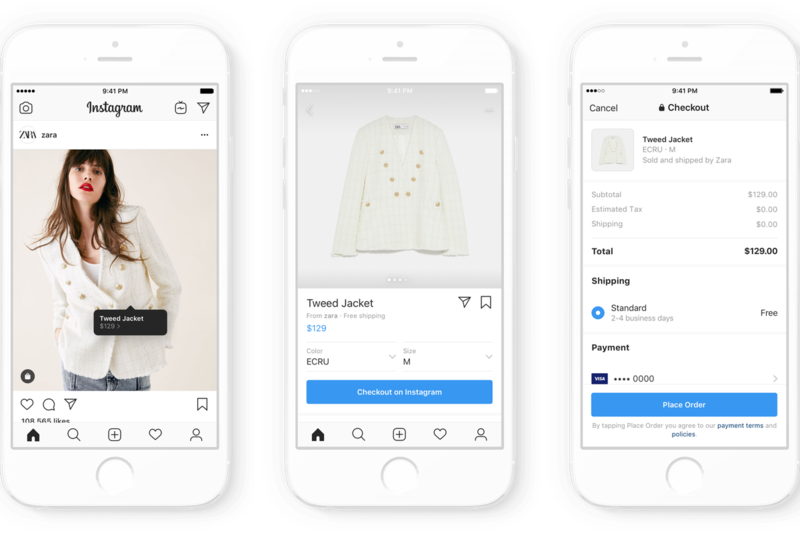 Instagram recently announced their new feature called Checkout. This is to ultimately keep the users in-app and prevent them from getting lost down a rabbit hole after seeing a product. Brands like Adidas, Nike, Dior and Zara are already using this new feature to allow users to view and pay via Instagram. Instagram charge a seller fee for this new feature. The items which are eligible for checkout will have a blue tick underneath them – after which the user will enter their email & contact information followed by their credit/debit card information. For now, users habits and payment information will stay within Instagram only and will not be shared across Facebook or other merchants. However, it could potentially be made available across the Facebook app family. This could open up a whole new world of opportunities for the group and other social media platforms if it were to become successful. Let us know your thoughts on this new feature. Would you use this feature to sell your items in the future?